...a critical assessment of Europe’s role in the global refugee crisis ... Kingsley has offered up a fiercely convincing, exasperated work that urges understanding the obvious ... By pulling together a continuous, clear narrative, intercut with political analysis, Kingsley’s book has the potential to deliver a worthwhile political intervention. At a moment when Europe and the United States are showing their isolationist, protectionist colors, The New Odyssey exposes the subsequent human cost. Kingsley’s work gives lie to the humanitarian posturing of so-called 'liberal project' Europe ... His point is simple: Europe, population 500 million, has the resources and capacity to absorb a very large number of refugees ... by telling the personal stories of numerous refugees, Kingsley delivers a compelling read with uncomplicated prose, while giving the reader all the more reason to trust his analysis ... he has done a service to the general reader in highlighting for us the injudicious actions of our governments; he’s handed us more than enough information to prompt our own political action towards aiding refugees and standing against barriers, borders, and bad policies. 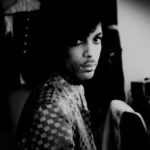 The New Odyssey, is a compendium of his work on the scene, but he structures the wide-ranging narrative around the experiences of one man, Hashem al-Souki. The conditions of their first encounter are as dramatic as the journey that follows ... Kingsley's exuberant curiosity gives the book some informative twists, as he interrupts Hashem's trajectory to explore the wider context. His observations on the economics of migration are particularly revelatory, most of all those about the inner workings of the refugee-smuggling trade, whose protagonists he pursues doggedly ... The New Odyssey presents itself as 'the story of the twenty-first-century refugee crisis,' but while Kingsley covers his bases and then some, the book falls short of a definitive account. He doesn't quite shake the deadline-driven urgency of the daily-news reporter, occasionally succumbing to tired clichés. The lexicon of the refugee crisis is full of imprecise, watery metaphors: waves, wakes, flows, floods, influxes, floodgates, tides. This sort of language, even when employed inadvertently, has a dehumanizing effect ... Kingsley's biggest contribution in The New Odyssey is to drive home a very basic notion that many nonetheless find difficult to understand: Refugees take enormous risks because there simply is no other choice. Patrick Kingsley has written a lucid and unflinching book that captures the ripples of the largest wave of mass migration since World War II. 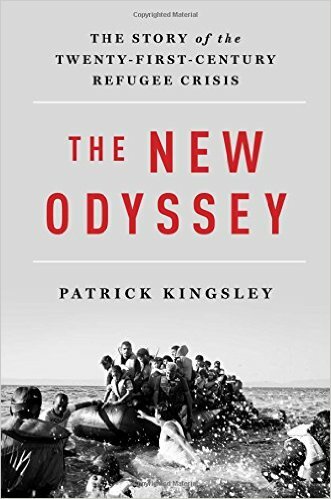 The New Odyssey delicately grapples with the task of encapsulating the crisis without diminishing its sprawling horror ... After reading this wrenching account of the refugee plight, you will not question their motivations ... Kingsley’s steady reporting underlines his critical humanitarian message. While war and repression spurred this current migration, he predicts the situation will not abate. What did you think of The New Odyssey: The Story of the Twenty-First Century Refugee Crisis?